Combine all the ingredients in a small saucepan, warm over low heat stirring continuously until it steams. Remove from heat and strain (you do not need to strain it but i liked the creamy smooth texture without the bits of turmeric and black pepper). Sprinkle a little cinnamon or garnish with a cinnamon stick. 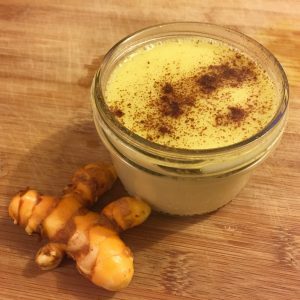 Sit back, relax and let the turmeric work its super powers.